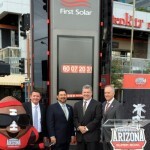 Downtown Phoenix hosted more than one million visitors in the 12-block outdoor fan campus anchored by Verizon Super Bowl Central in the five days leading up to Super Bowl XLIX, it was announced today by the Arizona Super Bowl Host Committee. 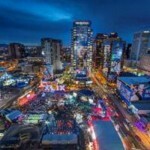 In addition, hotel occupancy in the Valley for Thursday, January 29 through Sunday, February 1 was 40% above the same time period last year, with occupancy peaking on Super Bowl Saturday at 96% and the highest RevPAR ever recorded for metro Phoenix’s hotels for a single day, according to the Smith Travel Research. 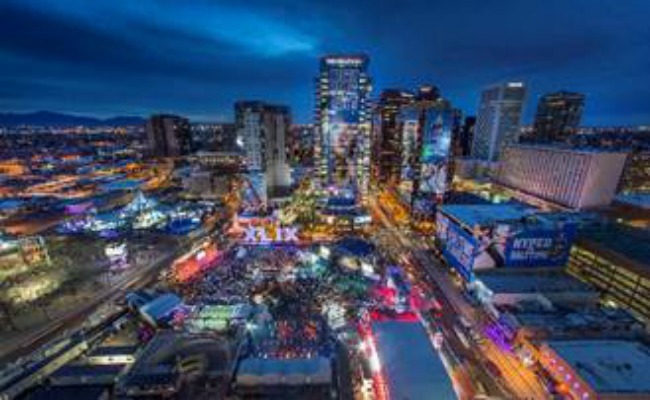 “We exceeded our expectations, with 1,015,000 visitors from around the world and the region turning out in downtown Phoenix to celebrate the spirit of Arizona and Super Bowl XLIX,” said Jay Parry, President and CEO of the Arizona Super Bowl Host Committee. 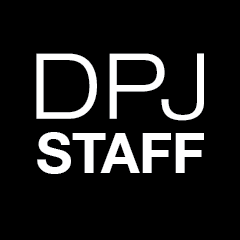 “The number of people in Phoenix for these events was unprecedented, and I believe we soon will see tangible economic results for the city, the region and the state,” Phoenix Mayor Greg Stanton said. 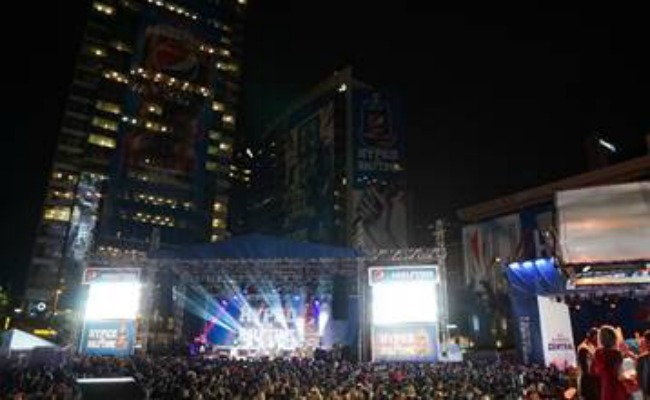 At Verizon Super Bowl Central, the center of the festivities, free fan entertainment of 34 national recording artists, local bands and community groups played at the Pepsi Hyped for Halftime Stage, culminating with The Roots on Saturday, January 31. 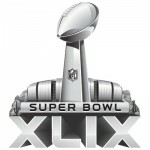 During the five-day period, 24,709 Pepsi products were purchased at Verizon Super Bowl Central. The Grand Canyon Experience Presented by NB | AZ averaged 250 climbers per hour on Super Bowl Sunday. Verizon kept visitors’ devices charged for free throughout the entire week via biometric scanning technology. Over 13,000 fans visited Verizon Power House for a variety of football-themed activities utilizing the latest interactive technology. Visitors learned about NFL Mobile from the League’s best players and felt the intensity of the game through cutting-edge virtual reality technology that provided fans with a once-in-a-lifetime point-of-view experience. At the end of the experience, fans walked away with personalized content and a portable charger to stay charged throughout Verizon Super Bowl Central. Verizon’s 3 week #WhosGonnaWin campaign culminated with a nightly social media driven projection mapping lightshow overlooking Verizon Super Bowl Central reflecting which team more fans thought would win Super Bowl XLIX. Another notable success were the efforts made by the Host Committee, City of Phoenix and the NFL to divert the amount of trash going into local landfills through the Kick the Waste initiative. Verizon Super Bowl Central was the first reduced-waste event of this size associated with the Super Bowl and resulted in a 73% diversion rate from land-fill to recycling. A first in the city’s history, the initiative will serve as a benchmark for future high profile events. 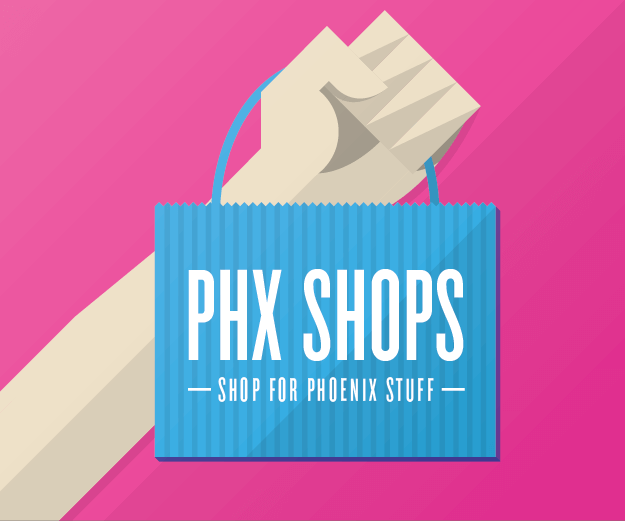 “For Arizona, hosting Super Bowl XLIX was an overwhelming success. 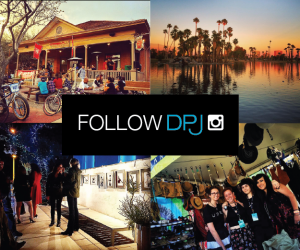 The members of our community, Valley stakeholders, corporate and tribal partners, and local businesses should be incredibly proud of how we rallied together to host this record breaking event and showcase all that Arizona has to offer on the global stage. Our state will be experiencing the positive impacts for years to come,” commented Arizona Super Bowl Host Committee Board Chair David Rousseau. Other statistics for Super Bowl activities that positively impacted Arizona include: More than $2 million was donated to 27 local non-profit organizations by the Arizona Super Bowl Host Committee, Host Committee partners and the NFL. Approximately 400,000 children were impacted by community efforts around the Super Bowl. 170 trees were planted in public parks throughout the region. 33,000 new and gently used sports equipment items and books were collected through Super Kids-Super Sharing event. 23,782 pounds of electronics were collected at an E-Waste Recycling Rally presented by Verizon. Images courtesy of the Arizona Super Bowl.